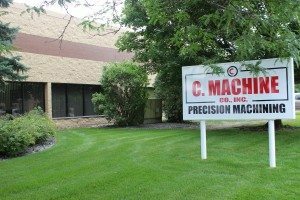 About C Machine Co., Inc.
C Machine Co., Inc. specializes in precision machining with resources available for bonding, plating and painting. We are a family owned and privately held company which gives us great flexibility to meet your demands. Over the years, we have continued to provide the same level of quality in our work, while investing in the latest methods and technologies of the industry. No matter the scale or complexity of your project, our machine shop has the dedicated resources to complete it in a timely manner. We’ve come a long way since the first C Machine Co., Inc. facility opened its doors in the Twin Cities area in 1962. Now located in Fridley, Minnesota, we currently operate out of a 20,000-square-foot plant. As always, our team remains committed to meeting your requirements of quality, cost, and on-time delivery. This client-first mentality has kept our business alive and well. We look forward to adding you to our growing list of satisfied clients. C Machine Co., Inc. is commercially and military certified. We are accustomed to inventory control and documentation requirements of our customers, as well as adhering to any JIT (Just in Time) and SPC (Statistical Process Control) programs needed. To get in contact with us, simply use our web form or call 763-785-2056.